There may not be a hatch that provides more intrigue to the dry fly angler than that of the trico emergence. While tricos are an intimidating hatch for some anglers to match, these size 18 – 24 mayflies turn trout into voracious feeders during the dog days of summer. 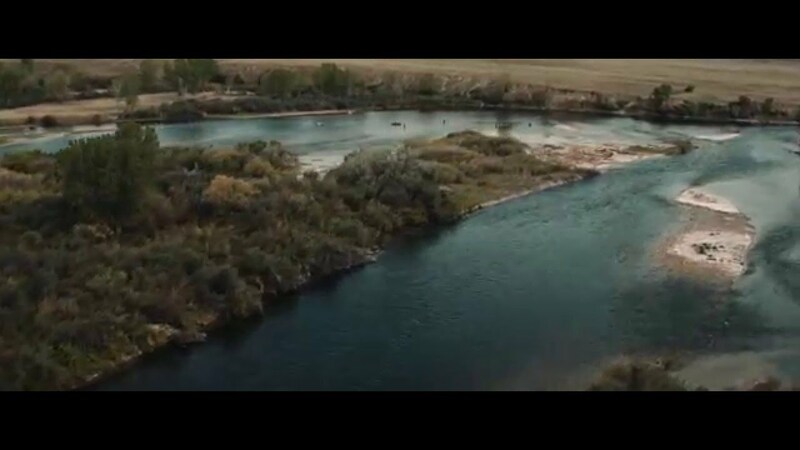 On my home water of the Bighorn River, in Southeast Montana, the trico emergence produces the ultimate climax to a season of prolific dry fly fishing. While trico hatches appear on many of the well known freestone rivers throughout the northern rockies region, the slower moving currents and stable water temperatures of tailwater rivers are where this emergence really shines. With their mix of sediment and fine gravel trico nymphs prosper in these tailwater conditions and produce emergences lasting anywhere from eight to twelve weeks. Trico emergences and their corresponding spinner falls can be found as early as mid-july and last into mid-october with the most prolific emergences and spinner falls occurring in August and early september. Anglers trying to take full advantage of the days trico activity should be ready at daybreak. During the tricos seasonal emergence, duns and spinners become the trouts main focus from sunrise to until the early afternoon hours. The Trico nymph is the least important stage of the trico emergence. I rarely, if ever fish trico nymphs like I would during other mayfly emergences for several reasons. First off – there is typically dry fly activity right at daybreak, so for that I am on the hunt for heads as soon the rising sun illuminates the river. You certainly don’t want to be caught trying to convert from a nymph setup to a dry fly setup when fish start rising all around you. Second, you don’t want to disturb a good looking piece of water before the trout start to rise. Nymph fishing prime water can put down fish before they ever get a chance to feed on the surface. Patience is key to finding the best trout up on top. Trout, especially those on my home water of the Bighorn, will utilize very shallow calm waters to feed on the abundance of the naturals present. I do my best to let the fish get comfortable in a prime feeding lie before ever making my stealthy approach or my first cast. This is especially true during the spinner fall, when trout will find a large volume of natural insects that have congregated in the slowest of water where they expend very little energy to consume large quantities of these tiny mayflies. I will however “nymph fish” towards the tail end of a trico spinner fall or just after. I do this by fishing a sunken trico spinner as a nymph. Sometimes sunk just below the surface film, but other times fished just just like a typical nymph – with split shot and strike indicator. My favorite way to fish sunken trico spinners is to sight nymph to fish that haved moved up on the top of shelves or shallow riffles. This is very exciting and visual fishing that can be accomplished in the clear water of many tailwater rivers and spring creeks. When these conditions exist the Tungteaser is one of my go to flies. This fly perfectly represents a sunken trico and the tungsten bead places the fly in the trout’s shallow sub-surface feeding lane. A short spring creek style indicator rig or dry dropper are ideal techniques for delivering your fly in this situation. Not enough anglers take advantage of trico dun emergences at day break. I have found some of my largest trout up feeding at daybreak on these natural adults. Male dun emergences occur in the falling light of evening. There is limited opportunity to fish the male duns in evening before darkness falls. The female dun emerges at daybreak, which provide anglers with the best opportunity fish trico duns. Anglers should be prepared to fish trico duns from daybreak until about 9 am. During this time, trout will stack up at the heads of runs and long the edges of riffles to intercept these emerging trico duns that hatch very quickly off the water. Once emerged, duns quickly molt into spinners and mating swarms begin to form as female spinners join male spinners high up in the air to start the mating process. Throughout the mating process these swarms of tricos will form tighter columns and move closer to the water’s surface. Once mating is completed males will die with their wings spent on the water. Females will lay their eggs and die spent on the river’s surface also. When the males and females have completed the mating process and die haplessly on the surface of the water, this is known as the trico spinner fall. At this time you should be fully rigged and in position to intercept the first of many trico spinner feeding trout. Trico naturals can be found in the greatest concentration during the spinner fall, making the spinner stage the most important stage to the fish and angler. Warm, calm, sun filled days produce the most intense and prolonged trico spinner falls. Windy days can diminish the intensity of the spinner fall if the columns of mating tricos get blown off the river. During the heaviest of spinner falls, trico spinners will blanket the water covering every inch of the river’s surface. Trout will feed voraciously on these disabled insects as they are the easiest stage of any emergence for trout to feed on the surface. Anglers prepared for the spinner fall should be positioned in the first gentle riffle and/or flat below the head of the run where mating columns have formed. Find a place where the trout will efficiently feed ideally on the edge of a slow riffle or in a flat just below a productive riffle known to hold good trout. Spinners will fall at the head of the run and the current will push the spent spinners into slower edge water where the trout will await the insect and you should be awaiting the trout. Trico spinner falls typically start at 10 am and can last anywhere from one to three hours depending on the intensity of the hatch. During this time trout will feed rhythmically as a constant stream of spinners filter through their feeding lie. During the main spinner fall trout will feed in pods. Here you can find as many as 100 fish concentrated in one feeding area. Often the largest fish will be feeding at the head of the pod, getting the first dibs on the spinner falls bounty. Most anglers will start at the back of the pod and work up river. This strategy often creates the best chance at catching the most numbers of fish, especially when fish are feeding on the edge of faster water riffles. If a quality fish is feeding at the top of the pod, at times I will sacrifice the opportunity to catch average trout in the back of a pod for a chance at one large quality trout. At times what can happen is when you hook a trout that fish can run up and put down a larger trout that was comfortable in it’s feeding lie. When I make this decision, I prefer to fish down and across with a reach cast to make a fly first presentation. This strategy I believe gives you the best chance at fooling a large trout with a small dry fly. As the spinner fall wanes and the number of fish up in pods starts to decrease you can often find fish feeding in eddies and slow moving tailouts where spinners become concentrated well into the afternoon hours. During this time you will often find single feeders or pairs of fish sipping in these slowest of currents. When you locate these fish expect that they will be some of the most challenging fish you will encounter when fishing trico spinners. As the feeding activity dwindles fall back into tailouts or back eddies where trout can linger well into the afternoon feeding on spinners. During the spinner fall regardless of how many fish are feeding in front of you, it is best to focus on one individual trout at a time. Each trout will feed in a tight window; by tight I mean a few inches. The trout will remain suspended just below the river’s surface to feed on spinners where their field of vision is very small. During this situation casting accuracy becomes paramount. I cannot stress this enough. What I find when fishing with clients is that they think the fly pattern is being refused by the trout. In actuality their fly was never placed right in the trout’s feeding lane. To make the situation more challenging your fly that needs to be placed with precision accuracy will also be competing against many other naturals in the trout’s field of vision at any given time. A trico spinner spent on the water is at the mercy of the currents. The natural will be moving at the exact speed of the current that it is floating in. Your natural needs to be presented completely drag and move at the exact speed of the current also to induce a strike. The number one challenge I find when presenting small dry flies (size18-24) is the issue of micro drag. Typical drag, the fly fishers arch nemesis, can typically be seen by the naked eye as the leader and fly drag across the surface creating a disturbance. Micro drag is much harder to identify. Micro drag occurs when using fine tippet and small flies. Micro drag is often the number one source of refusals during a trico spinner fall because while it may not seem like it to you but micro drag causes your fly to move faster than that of the naturals. With so many naturals on the surface your imitation will stick out like a sore thumb if it is not moving at the same speed as the numerous dead spinners on the water. As angler how do you combat micro drag from happening? Choosing the right leader and most importantly the length and diameter of your tippet is the first major sep to combating micro drag. I most often start with a nine foot 5X leader when fishing small dries. I then attach 24” to 36” either 5.5X, 6X or 6.5X Trouthunter Fluorocarbon tippet to the end of my nylon leader. The thinner diameter of your tippet and the longer the length the better chance you have of presenting your fly truly drag free. A general rule of thumb is that the flatter and slower the current you are fishing, the longer and thinner your tippet section should be. When fishing the duns in the head of a riffle at daybreak you can typically fish a section of tippet one diameter larger and shorter in length than you would fishing the spinner fall due to the nature of the water you are fishing. Once you are rigged for success. The second aspect that is critical to combating micro drag and finding success when fishing the trico spinner is employing slack line casts into your presentation. A reach cast where an aerial mend places your fly first with your flyline and leader positioned upstream of your fly is cast for when you are presenting your fly down and across. A check or tuck cast where the forward momentum of your cast is stopped so your fly line lands on the water with curves and slack in the line is a preferred cast that I use when fish upstream over a pod of fish. Becoming proficient in both of these casts will go along way in being successful during a trico emergence and or spinner fall. During the dun emergence I will typically fish just one fly, such as a CDC Thorax Dun. At times during a really heavy morning dun emergence on a cloudy day, I will run a last chance cripple that sits lower in the surface film behind my traditional dun imitation. If I have a picky fish feeding on duns I will often resort to a low riding Harrop CDC Trico Dun with a female body color. I find that fishing one fly aids tremendously in reducing micro drag on the water. If locating your fly on the water is difficult, it is best to fish a more visible point fly above your best trico imitation in a two fly system. Being able to locate your fly on the water will help you ensure that you are in the trouts exact feeding lane. The one mistake I routinely see on the water is anglers not taking the time to dry their flies once the chaos of feeding commences. Taking the time every 3 or 4 drifts to dry your small dry flies with a combination of Amadou and a powder desiccant is crucial to your success when fishing tricos. As long as you don’t disturb the fish with a bad presentation, the trout will be waiting for you after you’ve quickly dried your flies. During a spinner fall, especially when guiding clients, I most often use a two fly system. You want at least 18” – 24” between your two flies again to protect against micro drag. I will typically fish a more visible pattern up front such as a Purple Haze, CDC Compardun with a white wing or Hi Vis Paraspinner as a first fly. I will then drop a sparsely tied spinner imitation off the back of my point fly that would be very difficult to see on its own. Harrop’s CDC Biot Spinner, Double Wing Spinner and Harrop’s Paraspinner are all must have trico spinner imitations and should be carried in both female and male body colors. During the most intense spinner falls it is sometimes necessary to “unmatch” the hatch to get your fly recognized. We have found that three patterns suit this need really well here on the Bighorn. The old School Renegade, Quigley Cluster midge and Bloom’s Flying Ant in Black. When all else fails try one of these patterns, the results will often surprise you. Sometimes it’s not about what the trout is eating, but what they are willing to eat. Towards the end of the spinner fall feeding cycle be prepared to fish a sunken spinner imitation a few inches below the surface film. You can either simply let one of your normal imitations sink or you can purchase or tie a specific sunken spinner imitation that often incorporates wire in the body to allow the fly to sink slightly. Takes on a sunken spinner imitation are often fast and harder to anticipate because your pattern is not visible. It is best to up your tippet diameter during this time if you can get away with it to avoid break offs if possible. With the combination of a stealthy approach, accurate presentation and the right fly pattern you can find some of your best dry fly fishing of the year during the dog days of summer. The trico emergence can be a tough nut to crack at first. By putting yourself in position to fish one of these magnificent spinner falls you are sure to encounter some of the best fishing a trout stream has to offer.